Nose: Solid notes of vanilla, citrus, banana taffy and malty sweetness float up followed by some lighter notes of toffee, spice, Tootsie Rolls and wood. Palate: Vanilla, spice, citrus peel, toasted malt and a warm malty sweetness flood the palate, pulling a bit of char along with it. Notes: Parker's Heritage collection is a series of rare, limited edition American Whiskeys offered as a tribute to sixth-generation Master Distiller Emeritus Parker Beam for his more than five decades of crafting exceptional Whiskeys. The 9th edition of Parker’s Heritage Collection features an 8-year-old straight Kentucky Malt Whiskey, bottled at 108 proof and non-chill filtered. The 141 barrels used for this edition were part of an experimental run of a 65% malted barley/35% corn straight whiskey created by Heaven Hill Co-Master Distiller Craig Beam in late 2006. These rare barrels were put up into the 5th and 7th floors of Rickhouse Y in Bardstown, where the ideal aging conditions mellowed the whiskey and lent it great complexity. 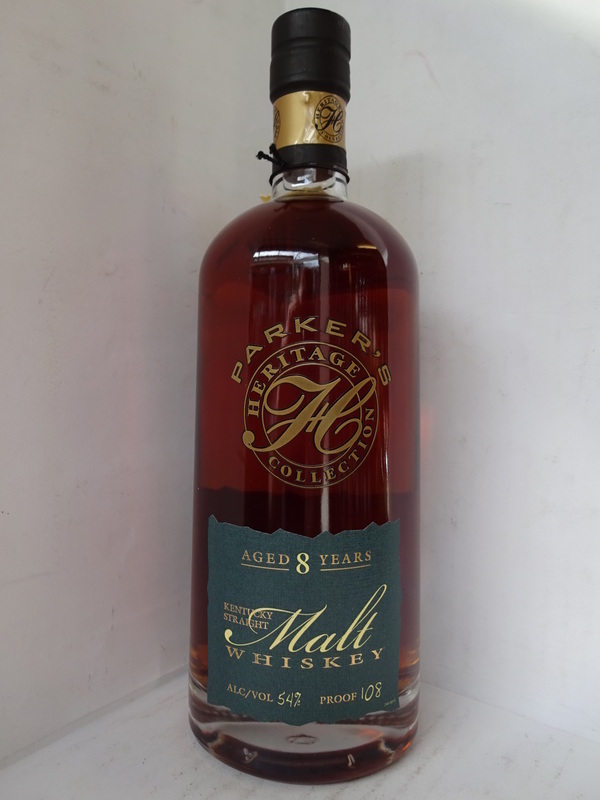 With a smoky, sweet flavor and long, lingering finish, it is a worthy successor to the previous Parker’s Heritage Collection releases, which stand as some of the most critically lauded American Whiskeys in recent memory.